Home 2019 February Location, Location, Location! 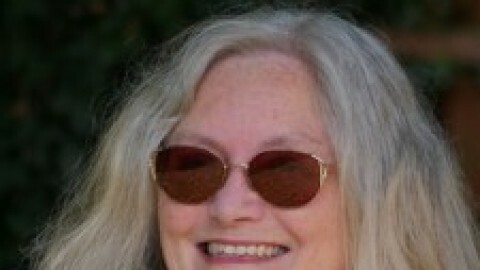 I am delighted to welcome Tania Crosse to the blog today. 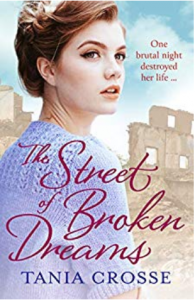 Tania’s novel, The Street of Broken Dreams, is due to be published on the 19th February 2019 by Aria and is the second in her fabulous Banbury Street series. The book is set in the summer of 1945 in Battersea, and Tania is here today to talk to us about location in all her books but particularly about this new story which links so strongly into her own life. How wonderful it was to be invited by the RNA to be their guest on Valentine’s Day! All my books contain a love story – or sometimes more than one. However, the major inspiration for every one of my novels has always been location. In my Devonshire series, west Dartmoor and the surrounding area provided more than just a setting, they are the very foundation of my stories. Imagining what it would have been like to scrape a living from the moor in the past – be it from farming, mining, quarrying or living and working at the remote gunpowder factory or the infamous prison – inspired this ten-strong series. Life on the moor was harsh and unforgiving, and yet for many, its savage beauty and sense of timelessness was as magnetic as the granite that forms its bedrock. Location was also the starting point for my most recent titles with Aria Fiction. The Kent mini-series was inspired by a visit to Winston Churchill’s home of Chartwell. It has an atmosphere all of its own, and I instantly visualised what it would have been like to live there and felt compelled to write about it. In my head, my imaginary Robin Hill House in Nobody’s Girl and its sequel, A Place to Call Home, was a smaller version of Chartwell. It was also a tragic event in the private lives of the Churchills that I discovered on that initial visit that gave me the overriding theme that is woven across both books. As far as my Banbury Street series is concerned, I was again inspired by location since I myself lived in this Battersea back street as a small child. I remember well the friendliness and camaraderie in what were still post-war austerity years. We knew all our neighbours and popped in and out of each other’s houses, something rarely experienced in modern day life. That is why stalwart Eva Parker plays such an important role in 1930s The Candle Factory Girl and its new sequel, The Street of Broken Dreams, set in 1945. Battersea Park features strongly in both books, as it did in my own life, somewhere to enjoy oneself, but also a calm oasis and fitting place for my characters to unburden their heavy hearts. The Pleasure Gardens there were only created in 1951 for the Festival of Britain, and seemed a suitable backdrop for the promising future I leave Cissie and her friends with in the epilogue. The gardens remained for many years and I knew them well. Thank you, Tania. It is always so interesting to delve into the thinking behind a book, particularly when there is so much of the author in it. If you don’t mind staying with us a little longer, I’ve a few questions for you. 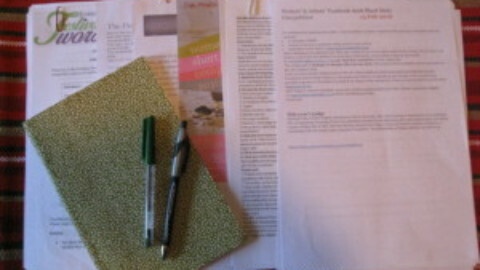 There is so much research in your books to ensure that the reader is immersed in not only the period, but the location. How do you approach this to make sure that everything is accurate? There is nothing like personal experience for describing locations and most importantly the atmosphere they create. For fifteen years, we owned a cottage on Dartmoor and spent almost as much time there as at our main home. So I knew intimately the area where my Devonshire series is set. When I decided to write about Banbury Street, I didn’t just rely on my childhood memories, but went back several times to refresh them. It was really quite nostalgic to see what remained the same and what had changed. For instance, I wanted my main characters to live in the little terraced houses on the opposite side of the street from where we lived. To discover that they had been demolished in the 1970s and replaced by modern flats was deeply saddening. However, the house where my parents rented rooms still stands, and at the time of researching The Candle Factory Girl, I discovered on the internet that it was up for sale for well over a million pounds! I contacted the estate agent concerned who emailed the details to me, and to see my childhood home beautifully refurbished was a journey in itself! 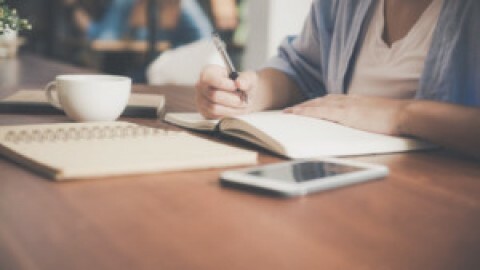 I have to admit that is not the first time I’ve pretended to be interested in buying a property just to get details for a book – just one of many ways of doing research to make sure that every detail is correct! Quite often, your characters lead challenging lives and the harsh reality of the time are clear to see. How do you balance this with the romance aspect of the story? And finally, what do you have planned for the rest of 2019? Can we expect more from Banbury Street? I think that, for the time being at least, I will allow all my Banbury Street characters to enjoy the more secure future that I set up for them in the epilogue. But who knows? One day I might go back to the two youngest Parker off-spring and pick up their stories. But at the moment, I’m being drawn back to the West Country. To Plymouth and its Blitz. And a terrible secret that many years later, an old lady is forced to confront. Thank you again, Tania, for a fascinating insight into the world of your books. I can’t wait to read it. Tania Crosse was born in London and lived in Banbury Street, Battersea, the setting of her two latest novels, ‘The Candle Factory Girl’ and ‘The Street of Broken Dreams’. But when she was five, the family moved to Surrey where her love of the countryside took root. 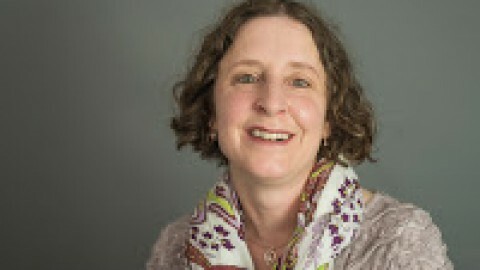 She later graduated with a degree in French Literature but did not have time to indulge her lifetime passion for writing stories until her own family had grown up. 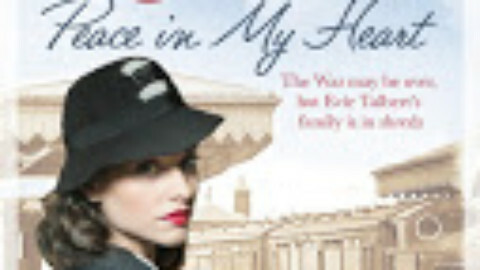 Side by side with her meticulous historical research and love of Dartmoor, she began penning her novels set in that area from Victorian times to the 1950s, all based closely on local history. 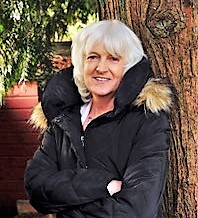 In 2014, she completed her Devonshire series with her tenth published novel, Teardrops in the Moon, before taking her writing career in a new direction with four sagas set in London and the south east. 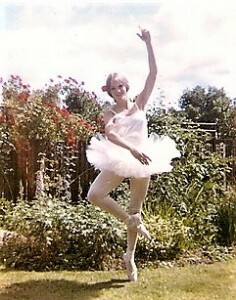 Tania is particularly excited about her latest story as the heroine is a dancer, and dance, in particular ballet, has been one of her life-time passions, she is seen here at the age of 17 performing her beloved ballet. Like her heroine, she once danced solo on stage at Wimbledon Theatre so knows first-hand what a thrill that would have been. Tania and her husband have lived in a tiny village on the Hampshire/Berkshire border since 1976. They have three grown-up children and two grandchildren. 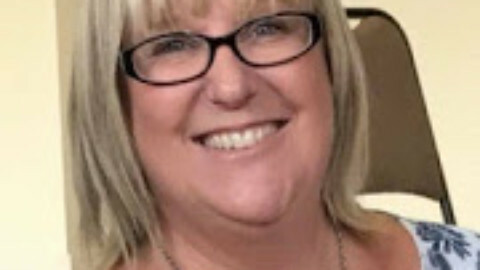 Tania was shortlisted for the area Sue Ryder Women of Achievement Award 2009 and her brother is famous thriller writer, Terence Strong.